NEW YORK -- U.S. consumer credit scores are inching upward, and that's good news for the economy with fiscally responsible consumers who have a much better handle on managing their debt than they did before the Great Recession. More consumers have a FICO score of 800 or above, 19.9 percent of consumers in April 2015 vs. 16.9 percent in October 2005. The national average FICO score is at an all-time high at 695, compared to 688 in October 2005. "As we've observed for several years now, more consumers are scoring 800 or above, currently at 19.9 percent vs. 19.6 percent just six months ago," he explains. "And fewer consumers are scoring below 550. In fact, there's been a clear pattern of decline in this segment since the low point of the economy in late 2009 and early 2010." Clearly, Americans are focused on their financial health, and it's starting to pay off. "When I opened my first credit card, I signed up for freecreditscore.com, because I wanted to learn more about how credit works," says Melissa L. Masters, a San Diego-based public-relations professional. "One thing I learned that I've found people overlook is that you shouldn't close your credit cards -- the greater the average age of your accounts, the better your score." Financial experts say climbing from a 695 FICO score, to one that is 800-and-above, is doable -- you just have to go after it. 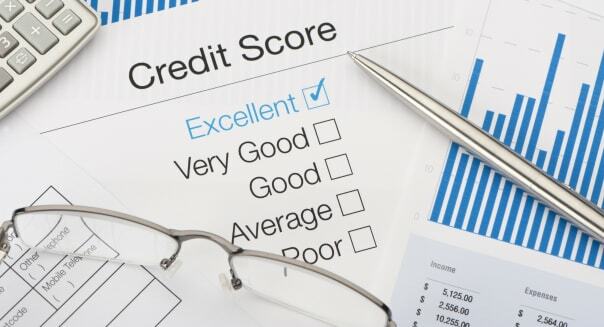 "The number one thing needed to know for building a better credit score is paying on time every time," notes Andi Wrenn, an Arlington, Virginia-based financial counselor and a specialist in credit and debt management. "Get your balances below 30 percent of available credit limits, and have a variety of credit types. This can mean loan, credit card, revolving accounts, and mortgages." Also, improve your "types of credit" you use to get some diversity. If all your credit is just credit cards -- get yourself an installment loan. Then, start working on the "credit utilization" part of the score. "Pay off your balance in full every month," Gerard advises. "Use only up to 10 percent of total credit line during the billing cycle. For example, if your total credit limit is $2,000, never use more than $200 on the card. If needed, refill the balance several times a month. Never carry a balance and miss a payment and pay several days in advance." Many credit card experts are less conservative and recommend not exceeding 30 percent of your credit limit before settling a balance.